Changing the way a community views archery. We were introduced to John & Diana in the summer of 2014 through my friend Danny. It was pretty evident from the start that this couple were very driven. They knew what they wanted and how they were going to get there. They just needed their business to match their vision. After sitting down with them and getting to understand their vision and business, we were requested to come up with a proposal to brand this new company. 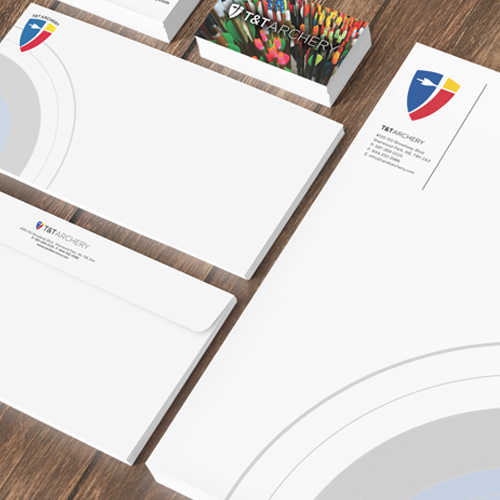 Everything from logo, website, brochure and supporting materials needed to have a cohesive look and feel. 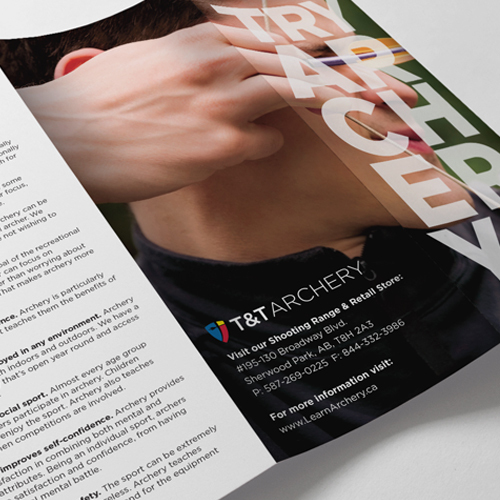 Wake Creative got hard to work in developing the foundation for their new brand – T&T Archery. Our process always involves research and questions. we were somewhat familiar with archery in a general sense but once we got into the research phase of development, we were exposed to an amazing world-played sport. In Europe, Archery is very popular as a sport. In North America most would assume archery is dominantly driven by the likes of wild game being stared down from the sight of a bow. 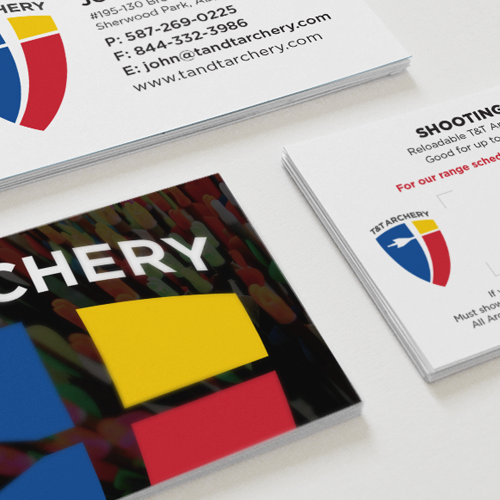 T&T Archery wanted to bring attention to the other side of archery, the target sport. Their new facility was to be more than an indoor target range. It was also going to be a retail store, classroom, league play and general community minded environment. They wanted to let everyone feel welcome no matter the touch point (store, website, brochure, etc.) As such they needed a brand that would appeal to a wide range of age groups and skill levels. When we design logos, we never compromise on readability. Logos need to have impact in black & white as well as colour. They need to read well at 1/4-inch size and 5-foot size. They have to be versatile and tell a story. We knew coming up with something special for T&T Archery was going to be fun. After examining the Edmonton & Area for other archery shops, ranges and suppliers, it was pretty evident that they were mostly hunter orientated. Their visual presence were weak and lacked impact. This was a huge opportunity for T&T Archery. We knew we could come up with a solution that would make an immediate impression and set them well above their competitors. After pages of sketching and exploring we came up with a solution that would appeal to the masses. 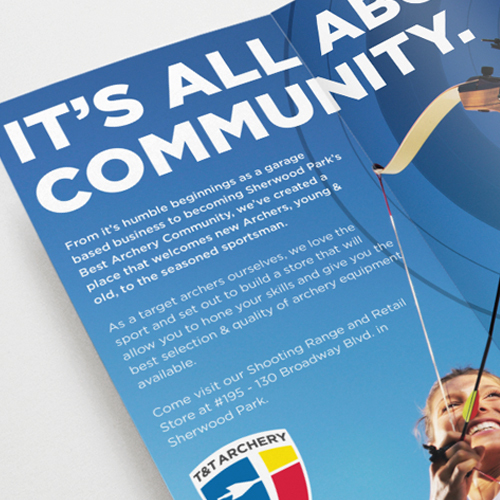 It is gender neutral, colourful and immediately tells you what T&T Archery does. The colour choices were by design after examining the standard paper target that most archers use. Not only do John & Diana love it, but their customers love the look as well. When we approach website design, we place higher importance on function rather than form. Your website should be treated as a 24/7 sales tool. It should have a purpose more than just static information PLUS it needs to be viewable on any device. Even in early stages of brand awareness strategies, your website can still perform a function. 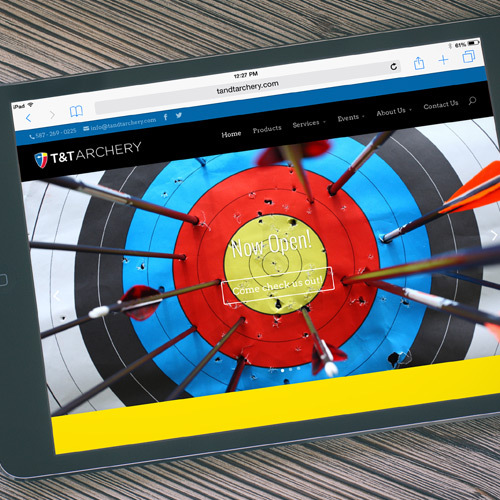 In T&T Archery’s case, it is email capturing. Their website needed to create as much impact as the logo so we knew that colour, photography and messaging were going to be important. 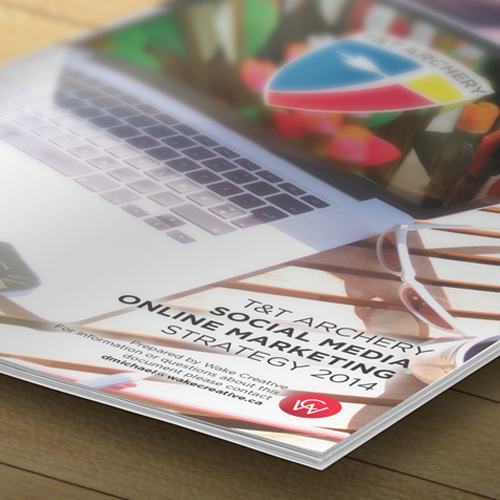 Brand awareness and email capturing were the main goals for this website. Wake Creative built this website on a platform that will allow easy growth and editing. As their business continues to grow successfully they can add new pages, features and include an e-commerce solution. When branding it’s important that every aspect of your company works cohesively together. No matter how insignificant you may think a brochure design might be compared to your website, they all need to look and feel the like they’ve come from the same place. Taking care of these little details is what really creates impact for a brand. A way you can amp up these materials is by having measuring devices attached to each of them. John went nuts with securing unique URLs based on our recommendations and we went to work making sure everything we designed included these unique URLs so they could record their effectiveness. 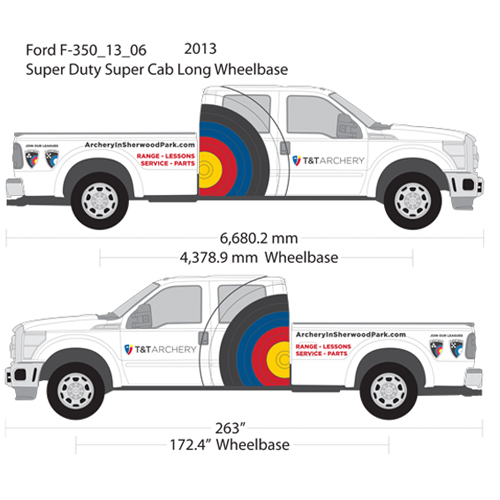 We created a social media strategy, vehicle wrap for their company truck, informational brochure, shooting range pass cards, advertising, forms and social media profiles. The details matter when it comes to your brand. Wake Creative understands this and implements these details when we can.